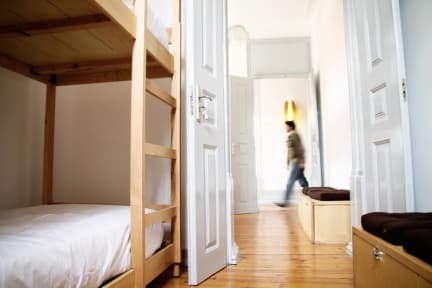 The Luggage is a new hostel located in the heart of the city of Coimbra, in a historic building from the early twentieth century, recently rehabilitated. 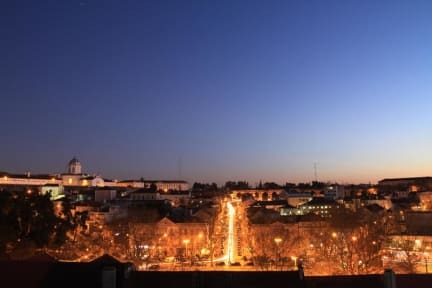 Situates in an area classified by UNESCO as World Heritage Site, it offers a magnificent view over the city, within walking distance to all major attractions and interesting spots of the city. Offering 10 rooms spread over 3 floors, the hostel has dorms with 4 and 6 beds, double, triple or quadruple rooms with or without bathroom, and private suites. If you choose to stay at the hostel, you can relax in one of our rooms, contemplate the magnificent views, hang out, watch a movie, read a book or go to the bar. Double, triple or quadruple rooms are equipped with LCD, cable TV, free WI-Fi, Air conditioning and Bathroom Amenities. Dorms are equipped with free WI-FI, Air conditioning and showers with hot water 7/24. If you choose to stay at the hostel, you can relax in one of our rooms, contemplate the magnificent views, hang out, watch a movie, read a book or go to the bar. During your stay the hostel offers, Individual lockers in dorms, Free towels and bed linen, Free Breakfast, Free Wi- Fi, Free satellite TV and Free city maps.